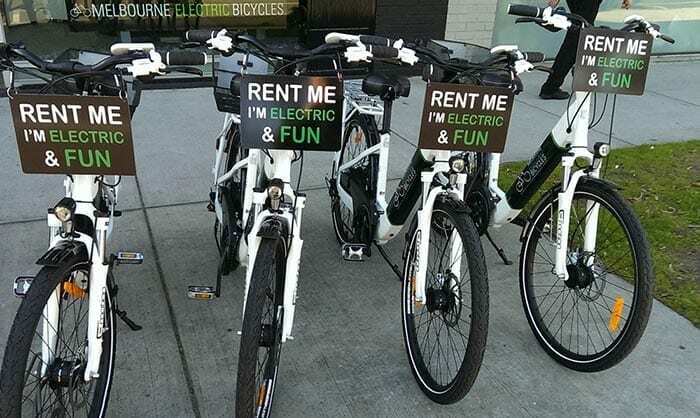 Why hire a traditional bike when you can rent a fun electric bike, from Melbourne Electric Bicycles. We’re located only a short distance from the Melbourne CBD and three minutes from the beach. Nearby are the iconic Beach Road, Botanical Gardens, Acland Street, MCG, Yarra River and much more. Renting from Melbourne Electric Bicycles is easy. Bookings are recommended by phoning 03 9939 9894. We can supply you with a helmet, lock and basket. Note: Melbourne Electric Bicycles retains the right to refuse electric bicycle rental to anyone it believes is at serious risk of not having fun. You may be required to pass a smile test before you rent! Additional Note: You must be 16 years or older to rent an electric bike.